Last week I described Uncharted 4: A Thief’s End as “one hell of a gaming experience”, praising its fantastic story, solid gameplay and “unreasonably good” graphics. That review was based solely upon the single player portion of the game because that was all I had access to prior to launch, and in the interest of being timely I opted to publish it first and then have a follow up on the multiplayer component later. So, without further ado, here are my impressions of the Uncharted 4 multiplayer: it’s pretty good! All right, I’ll go into more detail. In a nutshell, Uncharted 4’s multiplayer pits two teams of five players against each other in a variety of fast paced game modes. 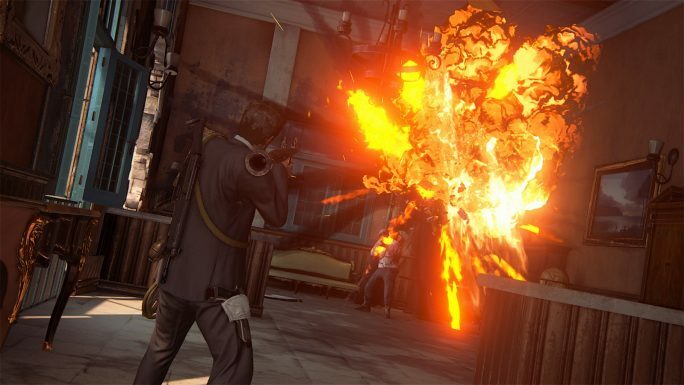 The gameplay is essentially the same as in the single player, featuring the same climbing, grapple hook swinging and combat mechanics, albeit with some new additions. The grapple hook can now be used as a powerful melee weapon, from which a fully charged attack can instantly down an opponent. When hurt enough, players are “downed” instead of killed, meaning they can only crawl along the ground, unable to fire with health dwindling until someone revives them or they’re finished off/KO’d by an opponent. This is a pretty useful mechanic, as it often drops you back behind cover and prevents players from just hanging out up the back and picking people off; they need to come in close and get their hands dirty. 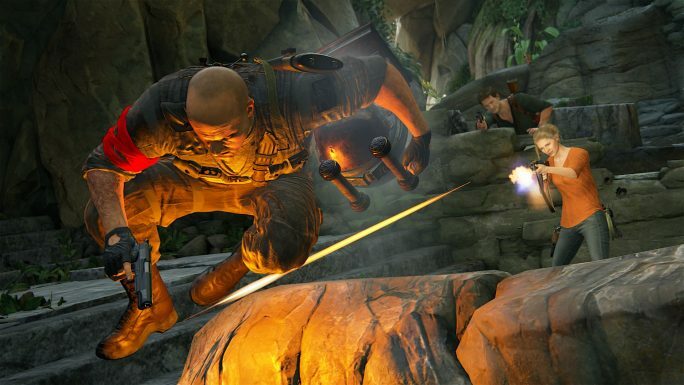 As Charlie pointed out in his impressions of the beta test last December, Uncharted 4’s multiplayer is reliant on teamwork. Lone wolves will struggle, as they won’t have anyone to revive them when they get blind-sided. Staying in groups and having a wide variety of class skills is the key to success. Class skills are purchased with money earned from downing and KO-ing opponents and completing objectives. These skills can range from using a heavy weapon, upgrading the gear you may be carrying (grenades, health packs, land mines etc) or unlocking sidekicks and Mysticals. The sidekicks offer a variety of strategies, from the Sniper ruthlessly picking off opponents, the Saviour keeping close and providing revives and ammo when needed, the Brute laying down an onslaught of suppressing mini-gun fire and the Hunter who rushes up and grab enemies to help you finish them off more easily. Mysticals are supernatural abilities that offer similar offensive and supportive benefits, and combined with the sidekicks help prevent matches from resulting in a constant exchange of cover-based shooting. You couldn’t call being rushed by a man on fire dull. The money system really helps keep games balanced, as each time you purchase a skill it goes up in price thereby making it harder for one player to spam certain skills unless they can earn more and more kills without them first. It also allows players who aren’t raking in lengthy killstreaks to utilise these abilities, since money can be earned through means other than killing opponents like completing certain game modes’ tasks. Skills can either be dictated by pre-set classes or arranged to suit one’s playing style in a class they’ve created. Classes are built using a system similar to recent Call of Duty games, where you have a certain number of points to spend on weapons, gear, passive abilities and sidekicks and will have to make calculated decisions as to what to equip and what you’re willing to compromise on. Just don’t skimp on the tuxedo. What it lacks in practicality it makes up for in style. And while it’s easy to imagine just making a class to suit your personal strengths and use nothing but that, the game encourages you to equip and use other items by way of its daily challenges. They’re made up predominantly of things such as “get X amount of kills using gun Y”, meaning you’ll have to change your equipment load out and use that particular weapon in order to reap the rewards. The rewards given out for completing daily challenges is an in-game currency called Relics, which can be spent on chest full of random weapons, character costume items and ability boosters, and depending on your luck can be much faster than trying to unlock things through the game’s progression system. 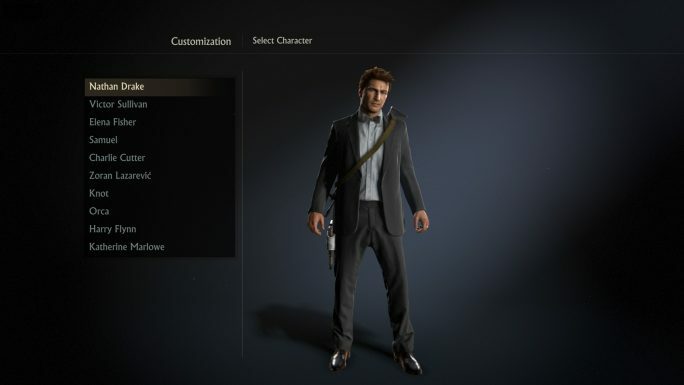 These chests can also be unlocked immediately by use of Uncharted Points, the microtransactions revealed at PAX which thankfully are pretty inoffensive and can be completely ignored. We still shouldn’t encourage them though. Now, the game modes available are pretty much the standard competitive shooter affair, comprising of Team Deathmatch, Command (control point capture), Plunder (capture the flag) and Ranked Team Deathmatch. As uninspiring as they may seem, they do have some unique twists, for better or for worse. Plunder is my personal favourite, involving teams transporting a heavy idol back to their base to score points and being heavily reliant on team work. Unlike a flag, the idol is a sizeable object that can also be thrown to teammates or at least out of reach of an opponent in the split seconds before they gun you down. It certainly made for some intensely fought skirmishes. Command has an interesting feature where the player who is contributing the most points by capturing objectives is designated the team Captain, and is rewarded with cheaper prices in their skill store, faster teammate revival times and more health while downed, but are also worth a lot of points to the enemy team when they’re killed. The longer a player stays alive as the Captain the stronger their bonuses become, but they also become more visible on the enemy’s radar. Killing a Captain can really turn the tide of a battle, but I personally found their inclusion discouraged me from capturing control points. One, because I didn’t want to be the target but two, the way Captains are chosen means there will always be one, so teams may as well just kill them in order to score points, then focus on the objectives. As for Team Deathmatch, it’s ordinary Team Deathmatch as you’d expect, and good casual fun. For anyone wanting to get more serious they can jump on Ranked Team Deathmatch, which disables certain boosters and lets you compete in one of five leagues (Bronze, Silver, Gold, Platinum and Diamond). The more matches you win in a league and you may jump to the next one up, such as in games like Starcraft. In my experience there weren’t any special rewards for playing Ranked matches, so unless you’re super keen on the bragging rights from being in Diamond league, regular Team Deathmatch is fine. 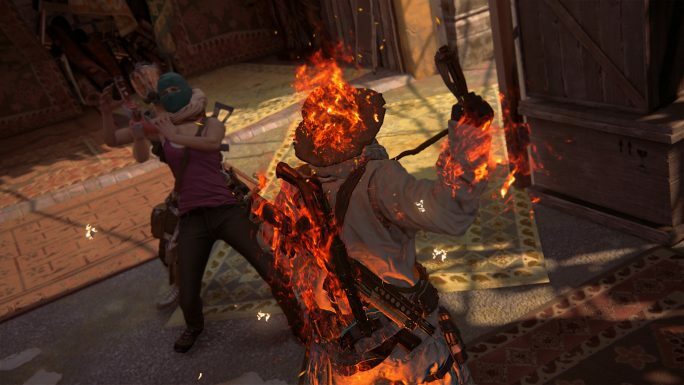 All in all, Uncharted 4’s multiplayer is a solid third person team-based shooter, but has the added benefit of the single player game’s personality. The whole cast are featured, all with their own costumes, taunts and sarcastic quips. Despite some of the minor flaws I mentioned, it’s a worthy addition to the stellar package Uncharted 4 already is, and well worth checking out once you’ve finished the main campaign. Chart Tom on Twitter: @tomdheath. Don’t forget to follow @load_screen and like us on Facebook.